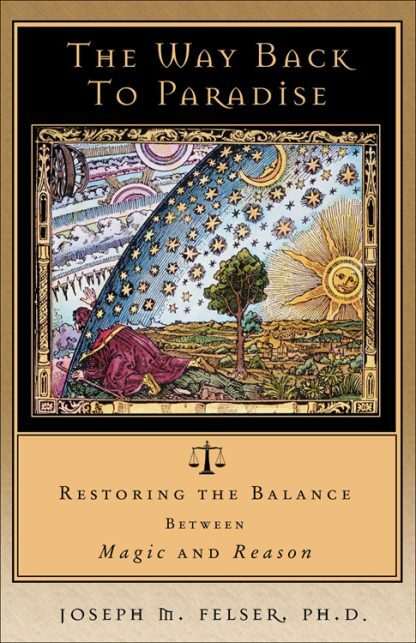 Red Wheel ∕ Weiser Online Bookstore | The Way Back to Paradise: Restoring the Balance Between Magic and Reason by Joseph M. Felser, Ph.D.
Paradise is not the state of being in harmony, but the process of harmonizing. It is not a garden of bliss, but the bliss of gardening. Paradise is about mending the self, restoring the balance, getting back into tune, bringing all our discarded and forgotten parts into the whole. That means paying attention to and honoring synchronicities, precognitive dreams, telepathic communications, visions--and all manner of experiences of psychic sensitivity. Philosophy professor Joe Felser realized that what he calls the "decrepit, decaying cultural ideologies," in exclusively favoring reason and logic, were excluding the equally real world of magic and psychic activities. He began to investigate, and the closer he looked, the more he found. But he wasn't ready to abandon the world of reason and logic. Instead, he wanted to see if he could find a way to blend the two. He did. The result is this book. In The Way Back to Paradise, Felser takes you through his day, showing what everyday life looks like when you live that blend. His stories, both magical and reasonable, point the way toward a new kind of paradise, one suited to the 21st century. Chapter 1: I Fell Asleep Under the Tree?